Lisa Brown takes the podium on election night. Erik Nelson: The sad truth is all Dems that were going to vote casted their ballots, but not all the Reps did. But they will in November. Terry Lynch: Wait for general election. When all R's are voting. It will be different. Erika Deasy: I'm not a Democrat, but I'm kind of thrilled. Vote CMR to dog catcher. Hopi Schott: Cathy needs to be gone. Enough lies and broken promises and dark money and smear campaigns. 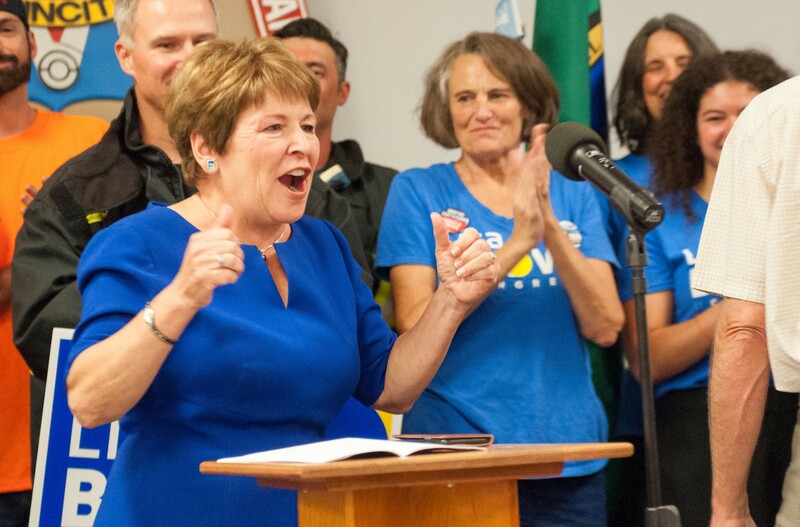 We need grassroots support for Lisa to reach north of Spokane to clue those counties in to stop voting versus their futures for once. Jeff Graves: Many conservatives were sending CMR a message by not voting for her in the primary. She is perceived as too establishment and not "all in" with the Trump agenda. We will vote for her in the general but we want Obamacare gone and the wall built as was promised. Mike Patton: Well I voted very happily for Liberal Lisa Brown and her socialist ideologies. Voting for a name with an R next to it is a vote for Putin. Paul Sell: A downtown stadium would be much better than the decrepit, decaying, out-of-date stadium that's so far away from any of the high schools in the area that no one, including students, teachers and parents, wants to go anywhere near it. 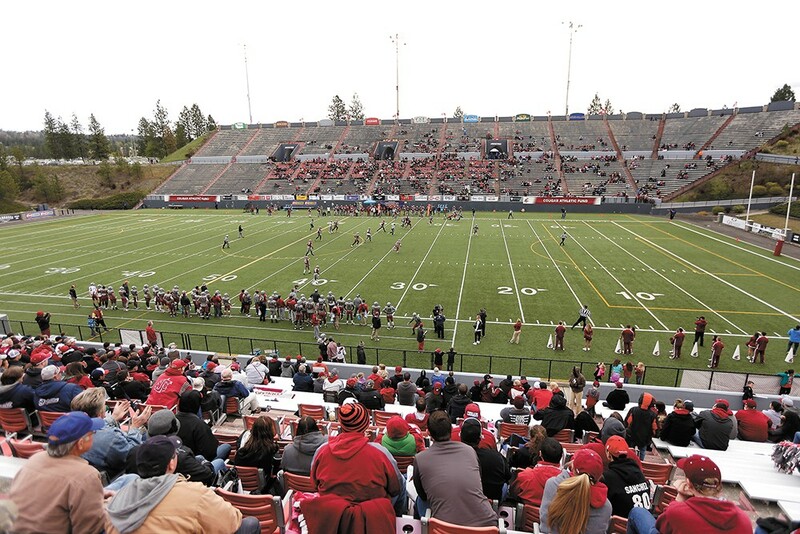 It's hurting local high school football to keep Joe Albi around, but a stadium in the middle of downtown could bring in a whole new audience and revitalize high school sports around our area. Terry Parker: Athletics rob from academics, which is what public schools are developed for. The leisure time activities of your children and the costs are the responsibility of parents or other private individuals, not taxpayers. We need to get the jock mentality out of schools too. Most of the "coaches" who are also teachers would have nothing to do with education if it didn't include coaching as well. We need people who want to be teachers, not a bunch of ex-jocks trying to revive faded glory.